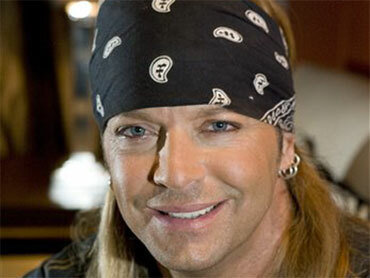 Bret Michaels remains in intensive care after suffering a brain hemorrhage, but further testing is scheduled to help locate the source of the bleeding, his website said. Thanks to taped reality TV shows, he also remains as a contestant to become Donald Trump's next "Celebrity Apprentice." At the end of Sunday's episode, an announcer acknowledged Michaels' illness -- published reports say he is bleeding at the base of his brain stem -- and said everyone at NBC "wishes Bret Michaels a speedy recovery." A report from Michael's from doctors is expected this week. The 47-year-old rocker's site doesn't say where Michaels is hospitalized. On Donald Trump's competitive reality show, Michaels, who is competing to raise money for his charity, diabetes research, has served as one of the season's most outspoken celebrities and has so far avoided being fired in the boardroom.